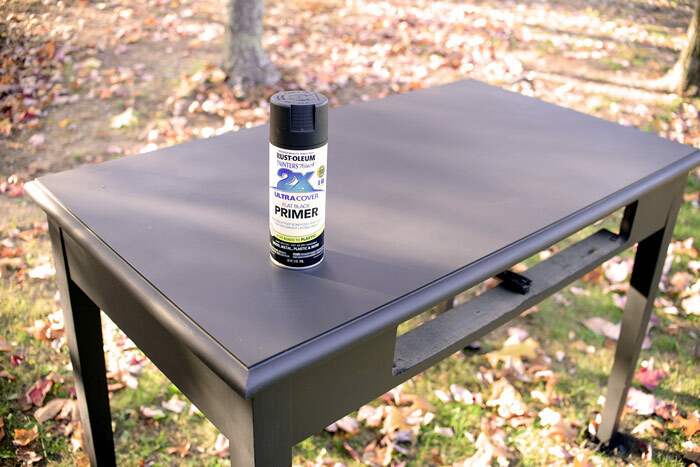 This entry was posted in Furniture, How to, Office, Organization, Reviews & giveaways, Sponsored, Thrifty finds and tagged Finish Max, Giveaway, HomeRight, Paint sprayer by Susan. Bookmark the permalink. Love it! I would use it on our new coffee table or my new office desk that I need to repaint. I have some dressers I’d like to paint for my niece. Turned out nice! I have old doors in my house that I want to spray paint black. 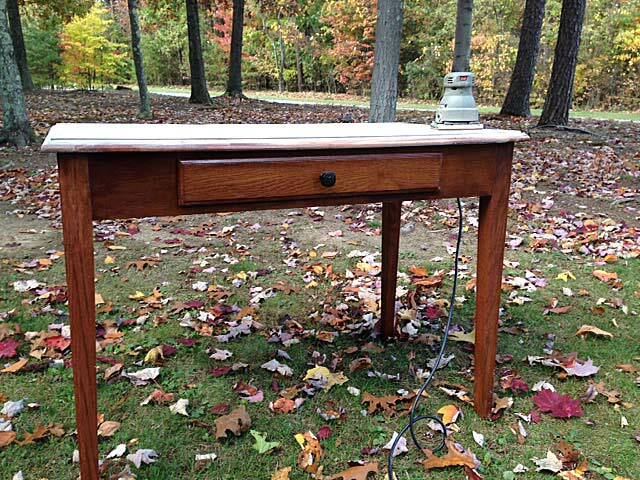 Just bought an entry table that needs a new coat of paint in a garage sale. That would be the first project I’d finish with the sprayer. I’d love to use it on two bedroom dressers that need a fresh coat of paint and on my bathroom cabinets. I would use it to paint my son’s dresser/changing table. I would love to paint my builders grade oak cabinets! The home right sprayer would make it a breeze! So many projects this would be great for…where to begin? I would use it on my living room end table. I love the idea of painting my kitchen cabinets. However, I have some end tables that will probably be my first project! I’ve been looking for a good sprayer! 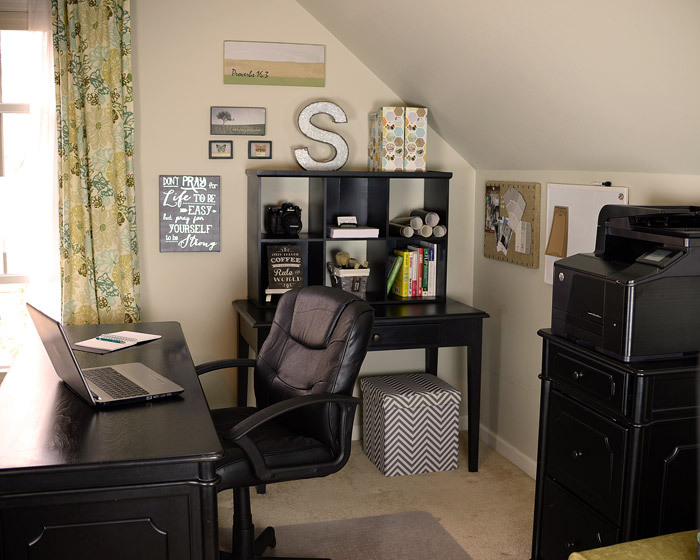 Love how you pulled everything together and made a wonderful office retreat. I’d use it on a fabulous antique library table I’m hoping to use in our tiny little dining area. I need one of those sprayers so badly!!! I need to repaint my kitchen cabinets and there is no way I can do it by hand with 2 toddlers and another on the way! Such great results you have there. It look so good! 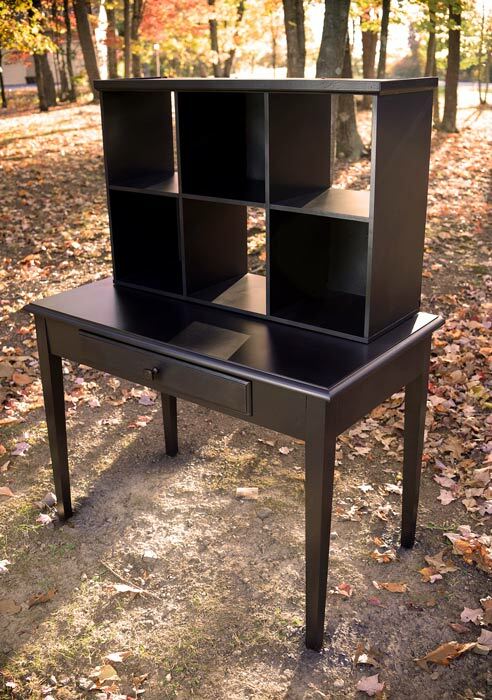 I would definitely start on a dresser/vanity that’s in my office. It’s very old and needs a little love! I love the new office look! 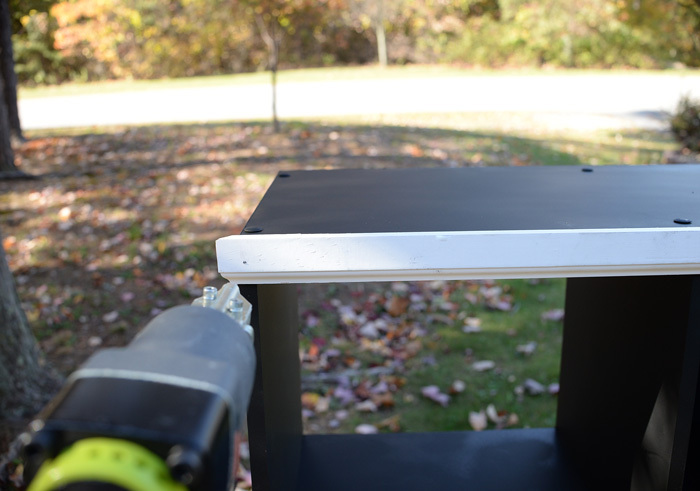 I would use the Homeright Max Finish Sprayer for SO many different projects that need done around my home, first and foremost would be my two children’s dressers, they’re in great shape but in need of a new paint job. I would use it to paint my kitchen cabinets!! I would use it to repaint patio furniture. I would use it on a dresser for my daughter. I would love to win that paint sprayer! It would certainly make my life a bit easier since I recently got into the business of finding old furniture pieces and making them beautiful again! It would certainly speed up the painting process for me. I love to paint, but I would have the time to add the time consuming embellishments. Thank you for allowing us to enter this wonderful giveaway! I use spray paint in the can all the time to paint all my out door furniture then to refresh it. I really would like to have a electric sprayer so I wouldn’t have to buy all those cans of paint. Thanks!!! I’d use it on a bureau I’ve been wanting to redo. 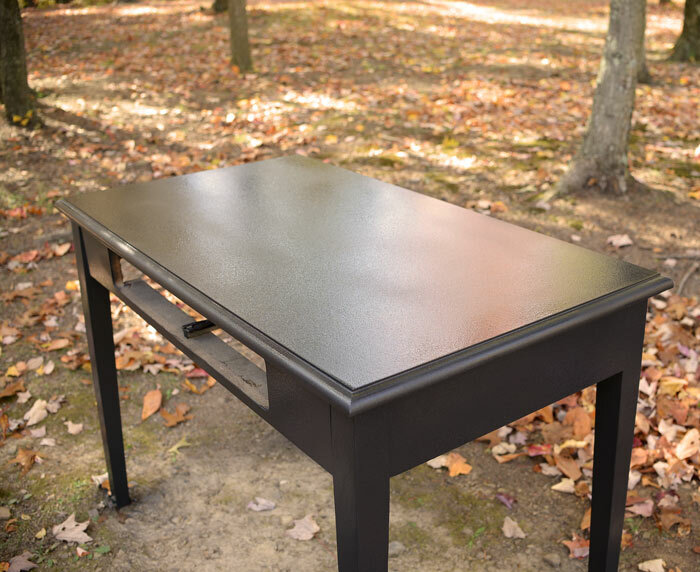 I’d use it on a desk I rescued from the side of the road….after repairing the broken claw feet which were in the drawers! What a great idea! I sure enjoy your blog & get a lot of great ideas too. Thanks. I have so many things to paint. I have read the reviews on many spray painters and this is the one I want. Dresser, cabinet doors, bench and etc. I have a chest that is begging for a new finish. That would be my first project! I have all kinds of “projects” stacked up that I could use it on. A chair, shutters, and several furniture pieces. Love that finish! So professional looking. And the new workspace looks great! 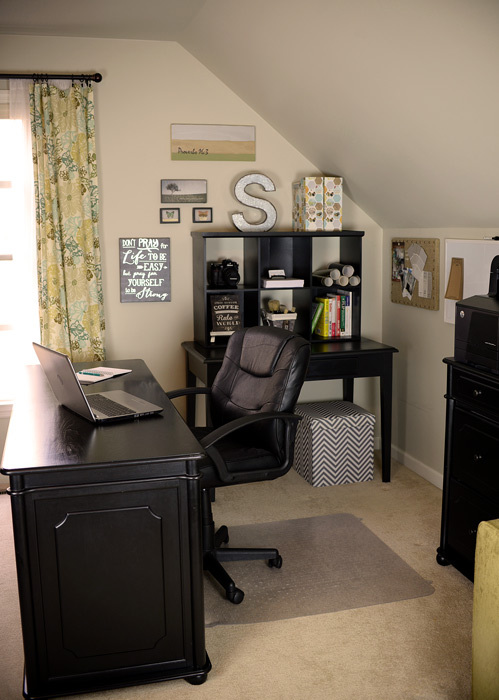 I am impressed and think I will try that black on all of my mismatched office furniture. I would paint a bed that belonged to my Papa. Thanks for the giveaway. I would use it on re-painting a crib for a new grandbaby that he/she’s father used as a baby! 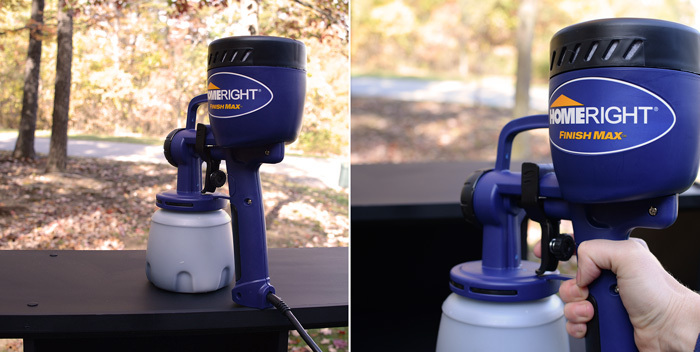 I would use the Homeright paint sprayer so I wouldn’t have to wait months for my husband to paint something for me with HIS paint sprayer! What would I not use the Home Right Paint sprayer for? 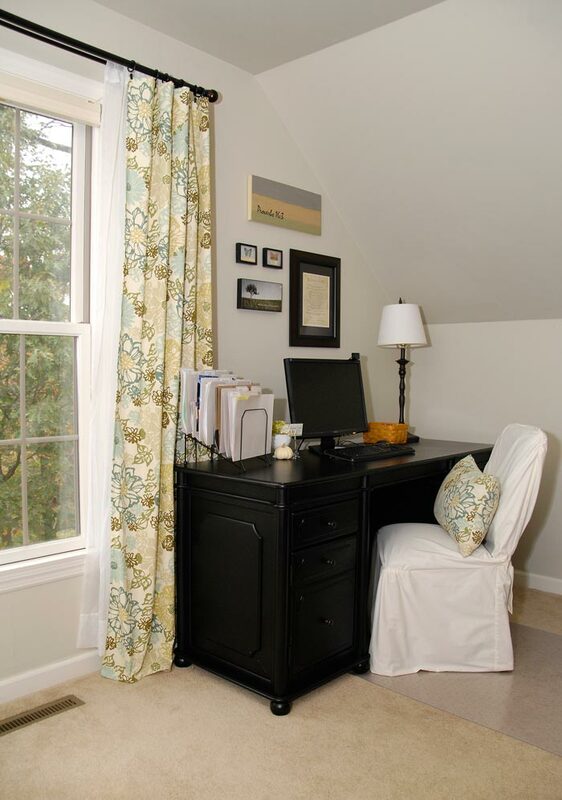 Builder grade cabinets, furniture makeovers, outdoor furniture. I have so many ideas! You make it look so easy. Thank you! Love your projects. I have a lovely table, 4 chairs and a dresser that would wonderful with some new coats of paint! I have lots of projects I would like to tackle. I would love to redo some old chairs and I need to paint an outdoor bench! Very creative and the results were professional! Our new deck. Been finished for over a year but can’t find time to get it done. This is awesome! I have so many things in our new house that I would just paint everything!!!! I love how you did this using the HomeRight Finish Max Sprayer. 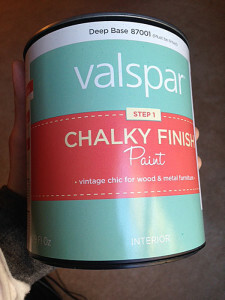 I have so many paint jobs that I need done around the house, but cans of spray paint can get to be really, really expensive to add the finishing touches to a project. 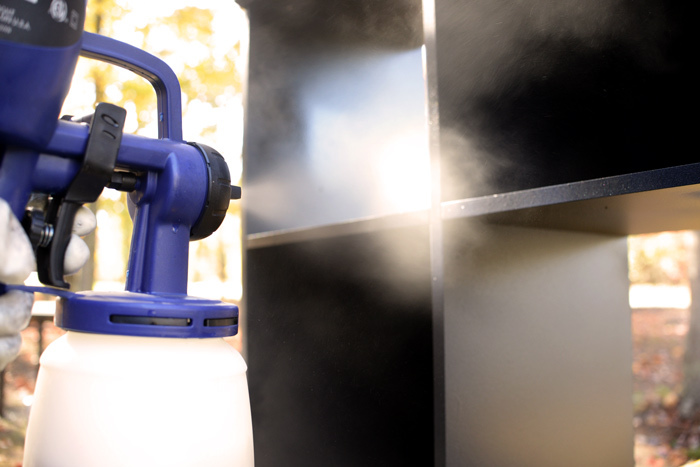 I have been looking for a paint sprayer that is affordable, but haven’t found one yet that is in my budget, but after reading about this one, maybe I can afford it. Now, if I can just find out if the gel paint I am using on my wicker furniture can be used in a paint sprayer…. OMG! I just check out those cubes and I have got to me some! 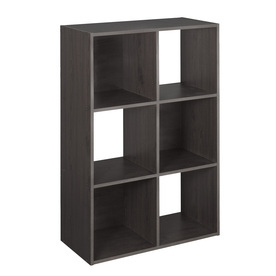 I have been searching for filing cabinets to go with my office furniture and haven’t been able to find anything that matches (I hate those metal things!). With these I can make them, using the drawers that they also make! Trim them all out to match my desk and other furniture in my room! Thanks!!! I have a lot of old furniture to update, where to start. This would make it easier to get going on some of them. Your project is gorgeous! I have an old table top I would love to try that HomeRight Sprayer on! 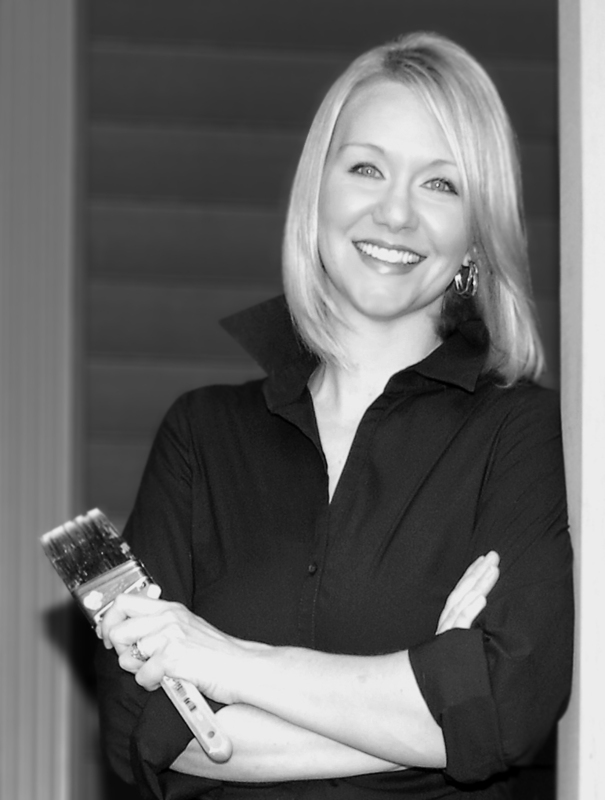 I love to transform furniture with paint! I am the “go to” in the family for fixing up things. I need one of these sprayers! I found in the dumpsterof a thrift store a Henderson coffee table. Lovely forms and sturdy. Missing the top glass. I would use this sprayer on this table first. Two different colors!! 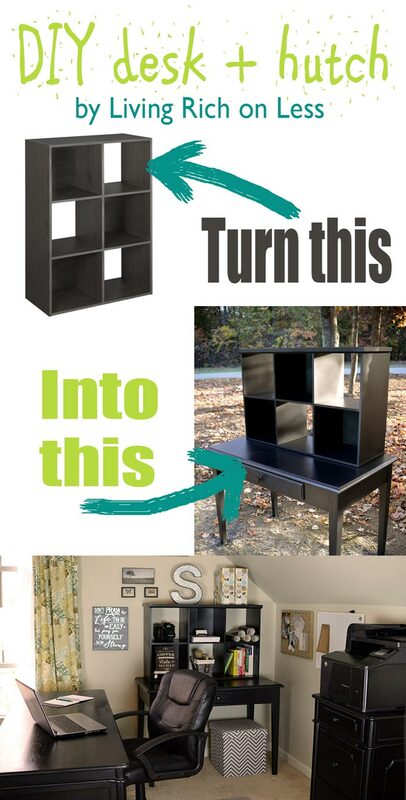 What a good way to re-purpose two mismatched pieces! They look great together. I’d love to try the paint sprayer on some mismatched picture frames I’ve got! We have been looking for a sprayer for paint all the new doors in our newly remodeled home & I think this is the one we have settled on, so many good reviews. I voted for your project by the way! Very cool, plus look at all that storage you have now! One can never have enough storage! 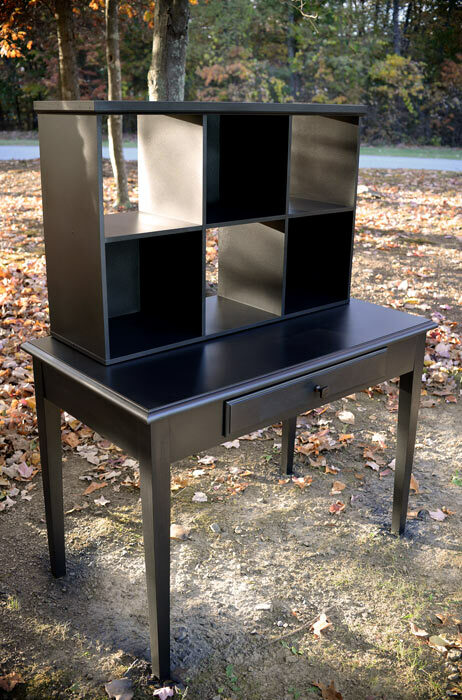 We have so many projects that this would be perfect for starting with the bathroom vanity, kitchen cabinets and master bath vanities. I would use this on my kitchen cabinets. 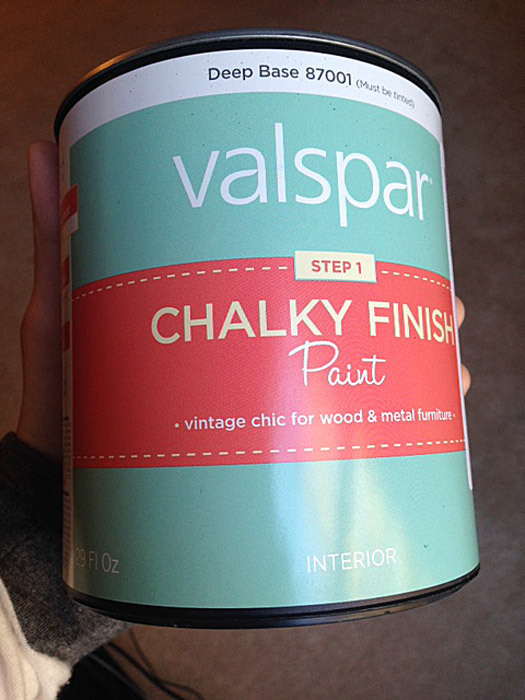 Right now I’m painting them using Valspar Chalky paint and I’m using a brush and it is such a slow process! Definitely need a spray painter!! Especially HomeRight® Finish Max sprayer! I would use it on my next guitar build.It would be a lot easier than using spray can paint and spray can clear coat gloss.I could actually be able to do candy coat and pearl coats with this. 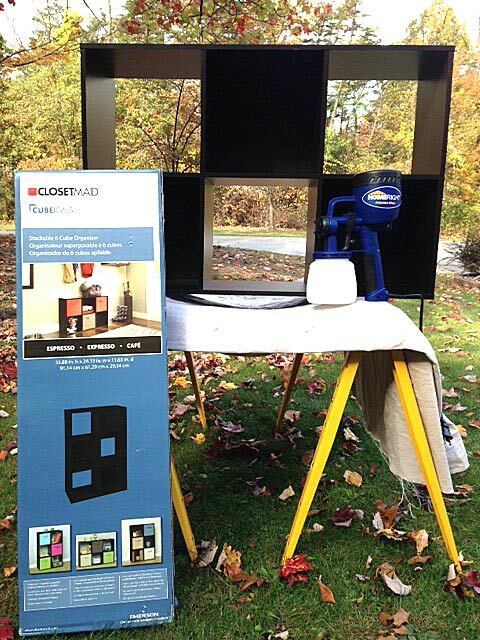 I have a couple stands that I need to get painted…and this sprayer would help me out!! I’m not sure if this would is powerful enough for it but I really need to finish painting my front fence. I started painting it 6 months ago with a roller and gave up because of what a hassle it was. I am working on refinishing an old dresser for my craft space, this would make the job much quicker! What wouldn’t I use the sprayer for? The possibilities are endless! We’re renovating an old farm house. I would use this sprayer to fix up the old doors to use as a backdrop for my sitting area outside and also to make a headboard. I would love to have it to repaint my kitchen cabinets that are 45 yrs old…I also would like to paint my bedroom furniture that is older than that..